Extra Space Storage is conveniently located on Livingston Rd. between Palmer Rd. and Oxon Hill Rd. off Indian Head Hwy. Our facility serves residents of Fort Washington, Oxon Hill-Glassmanor, and Friendly. We're also convenient for those living in nearby apartments and condos like Harbor Place Apartments, Pinewood Hill Condominium, River Pointe Apartments, Wilson Tower Apartments, and more. Our Livingston Rd. facility can accommodate practically any storage need! Whether you plan to store a vehicle or you want climate-controlled storage, our team can find the storage solution for you! Extra Space Storage in Fort Washington offers a variety of storage units that can handle everything from residential storage to commercial storage. Units start at 5x5 and go up to 20x20, with features like drive-up access, climate control, first-floor access, and outdoor vehicle parking. If you plan to store temperature-sensitive items, we recommend renting a climate-controlled storage unit. These units maintain an environment between 55°F and 85°F at all times to prevent damage caused by extreme heat or cold. Units with climate control come in sizes 5x5 to 10x20. Need to store a vehicle in Fort Washington? Extra Space Storage on Livingston Rd. has drive-up units and outdoor parking to accommodate cars, motorcycles, boats, and RVs. Car & Motorcycle Storage: For motorcycle storage, we suggest a 10x10 or 10x15 drive-up unit. For car storage, we recommend a 10x20, 10x25, 10x30, or 12x30 drive-up unit, depending on the vehicle size. Boat & RV Storage: We have two storage options for boat and RV owners to choose from: drive-up units in 10x30, 12x30, or 20x20 or outdoor vehicle parking in 8x20 or 8x40. When you store with Extra Space Storage on Livingston Rd., you will experience customer service that's second-to-none. 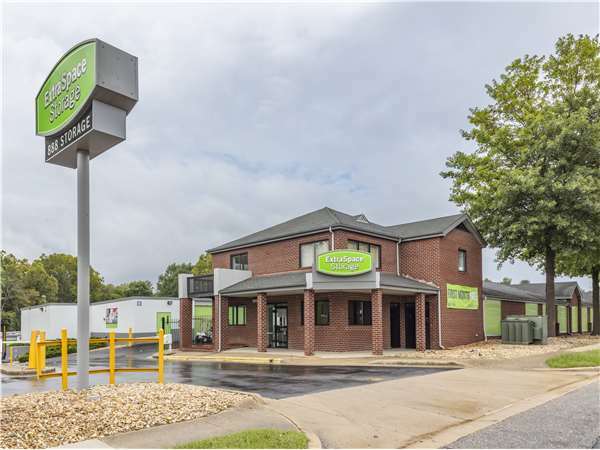 From our team's extensive knowledge of self storage and helpful attitude, to our clean, secure, and well-maintained facility, you'll get the best! Stop by our facility today in Fort Washington to take a tour or reserve your storage unit! Thank you Dilsa for taking the time to explain the services and make suggestions. Excellent customer service. Very helpful and sincere. The staff are friendly, proficient, efficient, and excellent. The location is near the National Harbor and easy to access. From the time I walked into the Fort Washington facility I received great service by Dilsa. She asked me what my storage needs were and walked me through the process. Dilsa was very helpful and knowledgeable. I returned a week after I had originally rented the space and received great service from Dilsa as well as Jackie. So far, I’ve had a fantastic experience renting storage with Extra Space! I appreciated the wonderful customer service and the rental process was easy. If you want a seemless process, professional and courteous staff, and a clean and well maintained facility, you have come to the right space, that is, Extra Space Storage! If you are seeking a temporary place that will take care of your personal items Extra Storage is the place for you. The location in Fort Washington, Md has great customer service. Overall the facility was clean and well maintained; and the location and access hours are very convenient for me. I was assisted by Jackie. I found her to be professional and personable. She was patient in helping me determine unit size and made other suitable recommendations. She was very knowledgeable and answered questions thoroughly. I also like that you can secure units that are climate controlled. I encourage others to consider this location for your storage needs. Staff very helpful. Facility very clean and maintained. Malissa was extremely nice and informative and I really like the location and ease of access to the unit. Spacious, affordable unit was very clean and excellent hours. Courteous and helpful staff (Malissa and Jackie). Facility is clean, good location, well lit. William (Bill) and Jackie were both very professional and friendly. Bill took the time to answer questions and explained the procedures and paperwork with care. I truly appreciate the experience and the upkeep of the facility. In addition, the alarm feature for each unit gives me a peace of mind I haven't experienced at any other storage facility. Thank you! Extra Space Storage was a very clean place. The employee was friendly and very helpful. The process was easy and quick. I would use them again if I ever need to. I've worked with Melvin and Bill and they both are very personable people. They are helpful and have a great knowledge of the location and facilities to assist with your needs. The facility is very close and is always presentable for customers. The Fort Washington Extra Space Storage Facility is convenient, easy to access, well-run, clean and neat at all times. Staff is courteous and helpful----the office was even open during a power outage, which helped me considerably! I would recommend this facility to family and friends---to anyone, actually. I plan to return and use it more for future needs. I rented a storage unit with Extra Space in Fort Washington for 3 months. Comparatively, they were reasonably priced for the area, certainly when you compare them to Alexandria storage units. The staff was friendly and helpful. Unlike a lot of other storage companies in our area, the lot was always clean, well kept up, and well lit. Our apartment was 2 miles from the unit, and the hours of access were generous-- all in all very convenient. Even if we lived 10 miles or more from this complex we would have rented from them just because they were so friendly, clean, affordable, and the access hours were generous. Highly recommended! Take Rte 210-N (Indian Head Hwy) and at intersection of Livingston and Old Fort Rd make a left (McDonalds on the right). Proceed to Livingston Rd and at the next light make a right. Go past 7-11 and Harley Davidson on your left continue and Extra Space Storage will be on the left. Rte 210S (Indian Head Hwy). At intersection of 210 and Livingston Rd make a right (Shell Gas Station on corner). Pass Sonnybrook Tavern Liquor store on the right and proceed about 1/5 of a mile and you will see a Good Year Service Station on your right. Extra Space Storage is next door. Take Md-4 West/Pennsylvania Ave. Merge onto I-495 South / I-95 South toward Richmond VA/Alexandria VA. Merge onto Indian Head Hwy/MD -210 South via Exit 3A for 2.8 miles. At intersection of 210 and Livingston Rd make a right (Shell Gas Station on corner). Pass Sonnybrook Tavern Liquor store on the right and proceed about 1/5 of a mile and you will see a Good Year Service Station on your right. Extra Space Storage is next door. Take I-495 East/I-95 North toward I-495 South / Northern Virginia. Merge onto I-495 South. Take I-295 Exit 3A toward Indian Head Hwy. Merge onto Indian Head Hwy / MD-210 South for 3.4 miles. At intersection of 210 and Livingston Rd make a right (Shell Gas Station on corner). Pass Sonnybrook Tavern Liquor store on the right and proceed about 1/5 of a mile and you will see a Good Year Service Station on your right. Extra Space Storage is next door.